The Mikoyan-Gurevich MiG-17 (Russian: Микоян и Гуревич МиГ-17) (NATO reporting name: Fresco) (China:Shenyang J-5) (Poland: PZL-Mielec Lim-5) is a high-subsonic fighter aircraft produced in the USSR from 1952 and operated by numerous air forces in many variants. 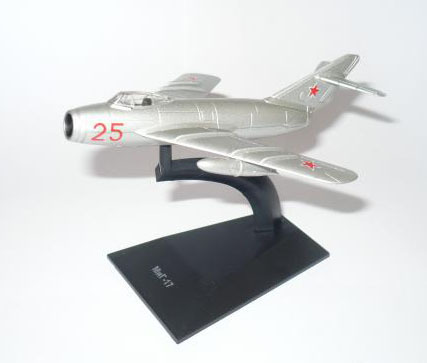 It is an advanced development of the very similar appearing MiG-15 of the Korean War. The MiG-17 first saw combat in 1958 over the Straits of Taiwan and was used as an effective threat against supersonic fighters of the United States in the Vietnam War. It was also briefly known as the "Type 38", by U.S. Air Force designation prior to the development of NATO codes. MiG-17s were not available for the Korean War, but saw combat for the first time over the Straits of Taiwan when the Communist PRC MiG-17s clashed with the Republic of China (ROC, Nationalist China) F-86 Sabres in 1958. In 1958, MiG-17s downed a US reconnaissance Lockheed C-130 Hercules over Armenia, with 17 casualties. 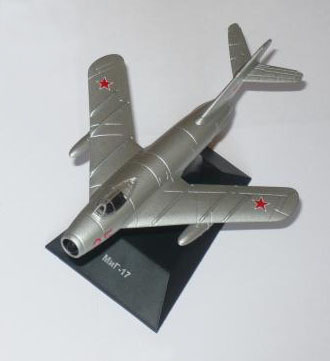 The MiG-17 was the primary interceptor of the fledgling Vietnam People's Air Force in 1965, scoring its first aerial victories and seeing extensive combat during the Vietnam War. 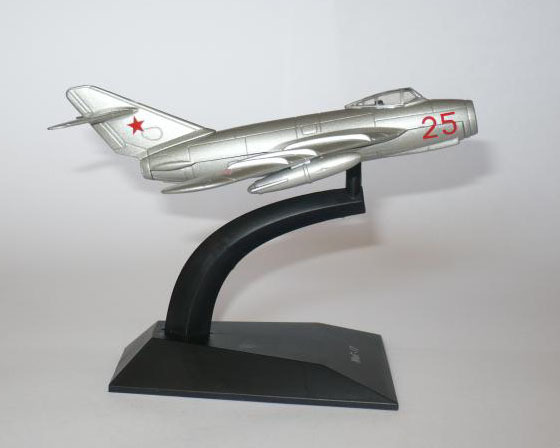 The aircraft frequently worked in conjunction with MiG-21s and MiG-19s. Some North Vietnamese pilots preferred the MiG-17 over the MiG-21 because it was more agile, though not as fast; 13 of the 16 NVAF Aces of the war attained that status while flying the MiG-21. Three North Vietnamese airmen gained Ace status while flying the MiG-17. Those were: Nguyen Van Bay (7 victories), Luu Huy Chao and Le Hai (both with six). 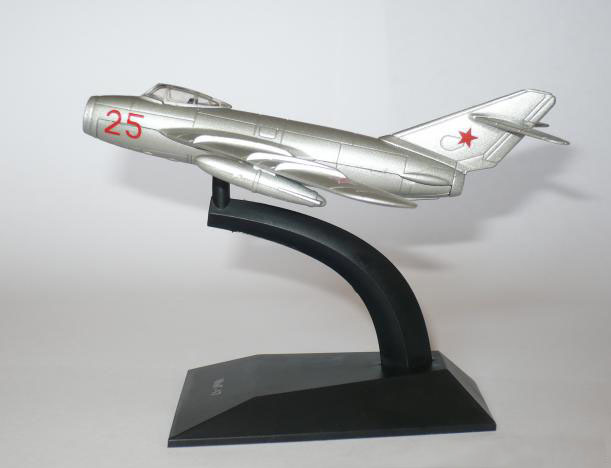 From 1965 to 1972, MiG-17s from the NVAF 921st and 923rd FRs would claim 71 aerial victories against U.S. aircraft: 11 Crusaders, 16 F-105 Thunderchiefs, 32 McDonnell Douglas F-4 Phantom IIs, two Douglas A-4 Skyhawks, seven Douglas A-1 Skyraiders (propeller driven strike aircraft), one C-47 cargo/transport aircraft, one Sikorsky CH-3C helicopter and one Ryan Firebee UAV. 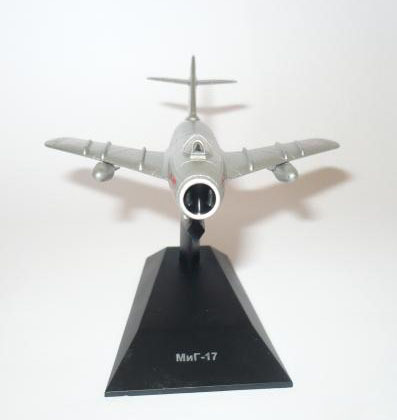 The American fighter community was shocked in 1965 when elderly, subsonic MiG-17s downed sophisticated Mach-2-class F-105 Thunderchief fighter-bombers over North Vietnam. 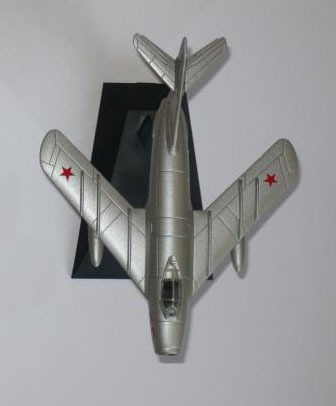 As a result of these experiences the U.S. Air Force initiated project "Feather Duster" aimed at developing tactics that would enable the heavier American fighters to deal with smaller and more agile opponents like the MiG-17. To simulate the MiG-17 the U.S. Air Force chose the North American F-86H. One pilot who participated in the project remarked that "In any envelope except nose down and full throttle", either the F-100 or F-105 was inferior to the F-86H in a dogfight. The project was generally successful in that the resulting tactics effectively minimised the disadvantages of the F-105, F-100 and other heavy American fighters while minimising the advantages of slower but more manoeuvrable fighters such as the F-86 and the MiG-17.